Stir's first major product offering is the Stir Kinetic Desk, a height-adjustable desk that senses and responds to the user. 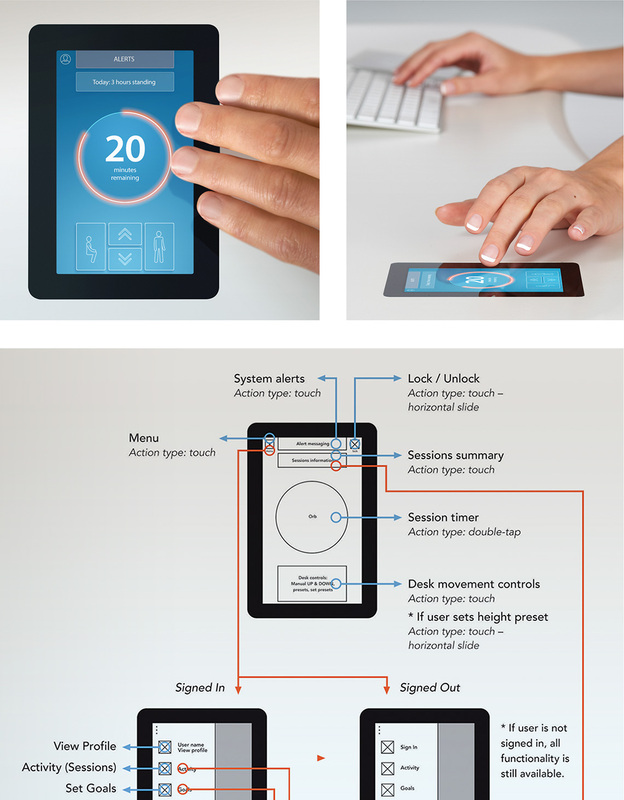 The desk's touchscreen GUI is central to accessing the desk's functionality. The goal of the desk is to get users to MOVE. However, the original GUI was hard to navigate and important tasks were difficult to locate. I reformulated the UX of the GUI, broadening accessibility and reducing barriers to entry, removing extraneous content, and introducing controls that are visually clear and iconographically simple. Stir's brand platform highlights positive change and transformation. Likewise, a Stir product should embody these values and, in so doing, provide a straightforward path towards achievement. The redesigned GUI now allows for a customer experience as inspirational as the Stir brand.